Favorite covers are a feature you are going to see on our blog for the next four weeks. We took some Halloween colors and decided to pick our favorite covers or spines based on that color! So here are my purple choices, my favorite color! I absolutely love the way these spines look, purple is so eye catching to me. 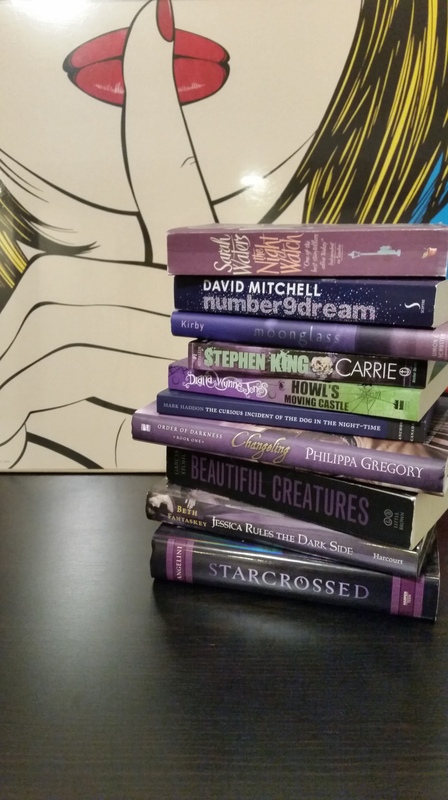 Feel free to post your favorite purple covers and tag us!